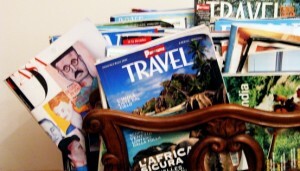 As a freelancer, some of the best income you can earn is by writing for magazines. To begin this process, you’ll want to get yourself a copy of the current year’s Writer’s Market and look for paying markets in the areas which you’d like to write in. National glossies like you’ll find on the newsstand are hard to break into, but there are so many magazines being published that are targeted to niche audiences that if you take the time to find out about what they need, you’re sure to find work. In this case, it’s often best to start with what you know. If you used to work in manufacturing, look for related trade magazines. Likewise, make a list of all the magazines local to your area. See if you can find a sample issue or two at the library or online to read some of the articles they have published in the past, and get a feel for the tone and writing style of the magazine. Then, brainstorm some ideas for articles. Try to find a unique spin on a topic that might not have been covered before. Think of someone you could interview, or some way to make an old topic timely and interesting. Of your ideas, narrow down the list to the most promising, and write a query letter to the editor of the magazine outlining your idea. Your letter or email should be professional, written in a business style, and addressed directly to the editor of the magazine, not “To Whom It May Concern.” If you’ve done your research, you should already know exactly who it concerns, so prove you’ve done your homework. Use your letter to sell the article, including why it’s important to their audience and how it will fit with the mission of the magazine. You can include clippings of other work you’ve done, or if you haven’t yet been published, a writing sample. Your query letter should reflect your professionalism, your writing ability, and your passion for the job. Absolutely don’t forget to include a proposed word count, time to complete, and your contact information. Finally, as you begin to query magazines, find a way that works for you to track where you’ve submitted and which magazines have responded. A spreadsheet is a good way to deal with this, but if you’re more comfortable with a notebook, make sure you’ve got a way to organize it so you can find old submissions easily. To Whom It May Concern, thank you for the advice. I am currently writing poetry have an ebook published on Amazon and Smash Words. I am hoping to get a job as a freelance writer, I reside in South Africa. Thank you.